Now that spring has finally arrived, it’s time to start planning a few weekend excursions. There’s no better place to take advantage of the warmer temperatures than in a bustling city, like Chicago, known for it’s Lakeshore path, outdoor recreational activities, and parks. 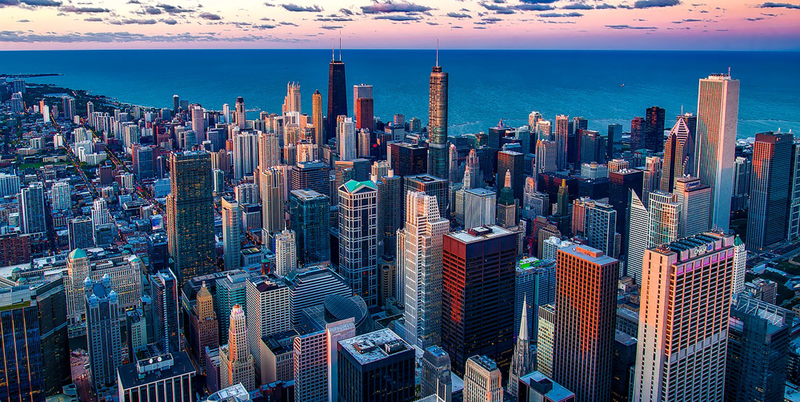 There are so many reasons to take a weekend trip in the spring, for both couples and families, alike, and Chicago does a great job of hosting. Here are 5 benefits of taking time off and exploring some place new. Life can get hectic—having a weekend to unwind, feel pampered, and ignite your curiosity can help you reset and have more energy once returning home. It doesn’t seem as easy to power down when at home, so having a short break from reality can instantly revitalize you and keep stress at bay in the weeks to come. By planning a weekend getaway, you’ll be more productive on Monday morning. Whether you’re taking a weekend trip solo or with a group, there’s great opportunity to network during your travels. When staying at a hotel, you’re surrounded by other eager, relaxed, and friendly people, simply looking to mingle and share in the experience. You never know whom you’ll meet on a short trip and how deep that relationship can develop in the future. By taking short excursions, you’ll become worldlier, and you’ll be able to share those stimulating stories with friends and co-workers. Not only does planning a weekend trip make you seem more adventurous and interesting in conversation, but you’ll also have some amazing opportunities to grow as a person. When you’ve reached your destination, take in the local cuisine, recreation, and historic sites to really familiarize yourself with the area and culture. You’ll leave with some great memories! By taking time for yourself, or to reconnect with loved ones outside the home, you’ll improve your health and quality of life. Studies show that there are many benefits of planning a weekend trip, as the travel can lower your stress levels and blood pressure. The time off will rejuvenate the mind and body and instill long-term happiness. Plus, in a city like Chicago, it’s easy to stay active. Between long walks throughout neighborhoods, a bike or run along the Lakeshore trail, or sporting events in one of the several parks, there’s no reason to stay sedentary. There’s just something special about travel that brings people together. Whether you’re going on a trip with a partner or the whole family, taking that time away to feel at ease together can strengthen bonds. If you and your partner are stuck in a rut, a weekend getaway could help ignite that spark. If there’s tension within the family, or you simply want to engage in new and exciting, family-fun activities, discovering a new city could be the perfect fit. The relationship benefits of taking a weekend trip are huge, as the good fun and humor shared when away can carry over into real life once you return.